About "Introduction to perimeter circumference and area"
Perimeter is a path that surrounds a two dimensional shape. The term may be used either for the path or its length it can be thought of as the length of the outline of a shape. 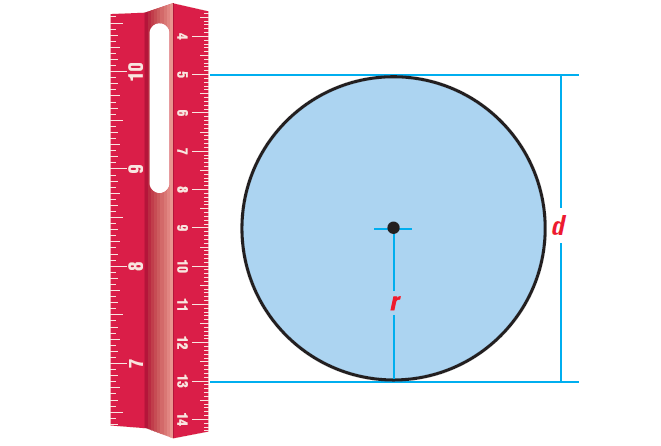 The perimeter of a circle or ellipse is called its circumference. In other words, the distance around the edge of a circle or any curvy shape. Area of an object is defined as the space occupied by the object on a flat surface. The area of a shape can be measured by comparing the shape to squares of a fixed size. Formulas for the perimeter P, area A, circumference C of some common figures are given below. The measurements of perimeter and circumference use units such as centimeters, meters, kilometers, inches, feet, yards, and miles. The measurements of area use units such as square centimeters (cm²), square meters(m²), and so on. Find the perimeter and area of a rectangle of length 12 inches and width 5 inches. Draw a rectangle and label the length and width. So, the perimeter is 34 inches and the area is 60 square inches. Find the diameter, radius, circumference and area of the circle shown below. use 3.14 as an approximation for ∏. 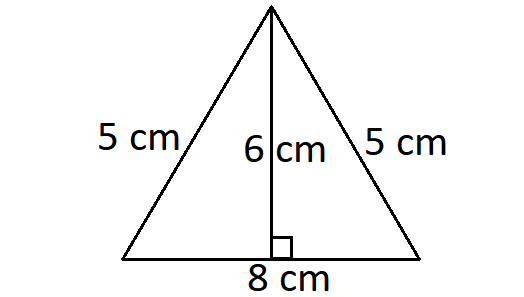 A ≈ 50.24 square cm. Find the area and perimeter of the triangle shown below. A = 24 square cm. After having gone through the stuff given above, we hope that the students would have understood "Perimeter Circumference and Area ".